Social Media and your Small Business - When is the best time to post? There can be no doubt that the rapid rise of social media has created a seismic shift in the way companies market themselves and communicate with their customers. It could also be argued that this revolution has benefitted small businesses even more than their multinational blue-chip counterparts. The ability to communicate directly and immediately with an unlimited global marketplace was well beyond the budgets, resources and dreams of small business owners, before the advent of Twitter, Facebook, LinkedIn, et. al. Now, the world truly is our oyster. However, although running a social media campaign may be extremely cost-effective in terms of your marketing budget; for the small business owner, without the luxury of having a dedicated social media / marketing team, social media can be a very time-consuming activity. And, as with any business, large or small, your time IS money. So, if social media is going to take up valuable moments of your working day, it surely pays to know the most effective times of day to engage with your audience. i.e. those times of day they will be more likely to see and respond to your tweets, updates and ‘conversation’. Unfortunately, the answer to this question is not as simple as you might think. The optimum time to ‘reach out’ varies according to different social media platforms and, as ever, the differing lifestyles of different customer demographics. As with everything concerning your marketing, knowing your customers’ needs, desires and lifestyles is at the heart of everything. At least it should be. Optimum time to post: Between 1pm and 4pm, with a peak at 3 o’clock Wednesday afternoons. Note: Once the preserve of teens and young adults (and they still make up a sizeable chunk of the world’s Facebook users), there is clear evidence that they are now migrating towards alternative platforms (Snapchat, Instagram). The biggest demographic of active Facebook users is now in the 35-55 age bracket. Typical Facebook users are getting older! Twitter users are typically more active from Monday to Thursday. Optimum time to post: between 7am and 9am. And 5pm to 6pm. i.e. the morning and evening rush hours / commute. Also at 12:00 noon (lunchtime). LinkedIn users are most active between Tuesday and Thursday. For a platform aimed mostly at business professionals, this is completely to be expected. Optimum time to post: Between 9am and 11am, with a peak at 9 o’clock Wednesday mornings. Note: the fastest growing age group for Google Plus users is in the 45-55 year old bracket. As with Facebook, social media is not a young un’s thing anymore. Optimum time to post: Saturday mornings and Friday afternoons at 3pm. With an image-led platform particularly suited to fashion, crafts, photography and pastimes, these peak times make complete sense. And one final word of advice, it is well documented that tweets and updates with photos, images or video generate a much greater response than those without. If you need a helping hand managing your social media marketing, or need ‘content’ for your websites or blogs, give Sunflower a call. 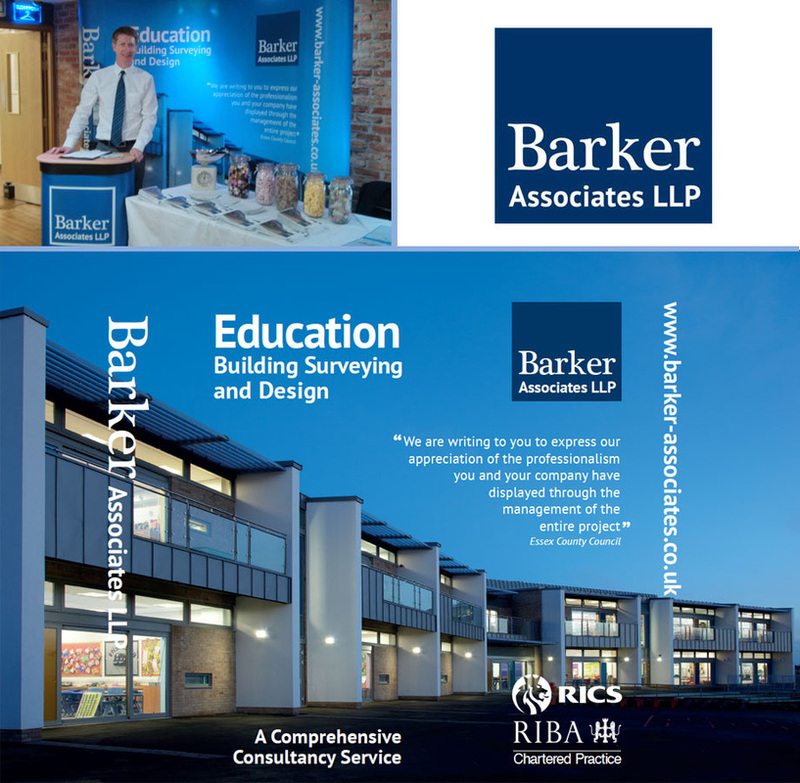 Over the last few months, we have been delighted to work alongside the marketing team at Barker Associates LLP, a firm of property consultants. Our first project has been to design a display unit for use at industry events, conferences and exhibitions. 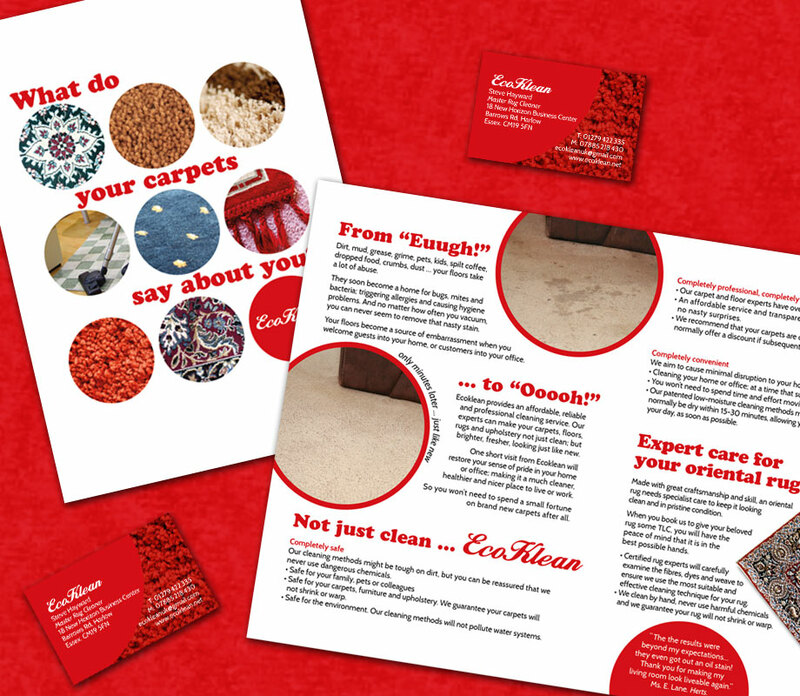 We look forward to working on a range of other marketing materials shortly. 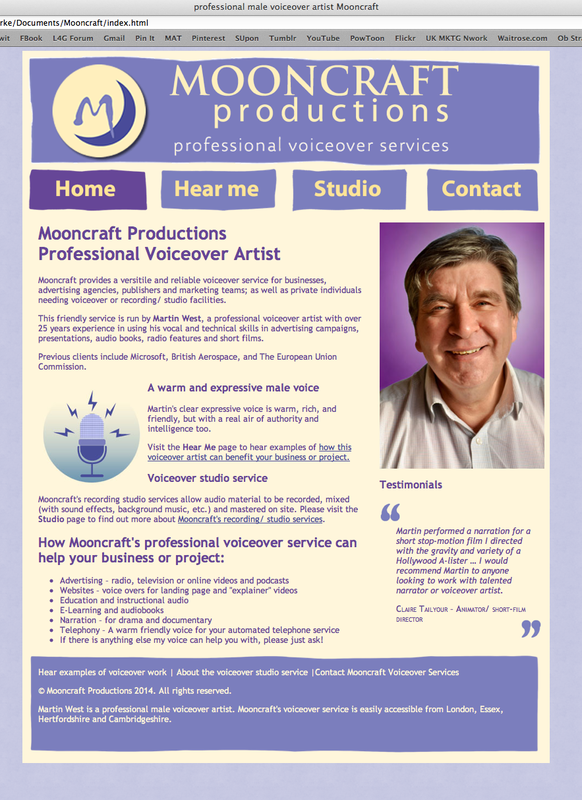 To celebrate the launch of our new Presentation service, we are offering a 50% discount on any presentation development and design work (including animated videos) commissioned before the end of January 2014. Don't miss out. Call now! 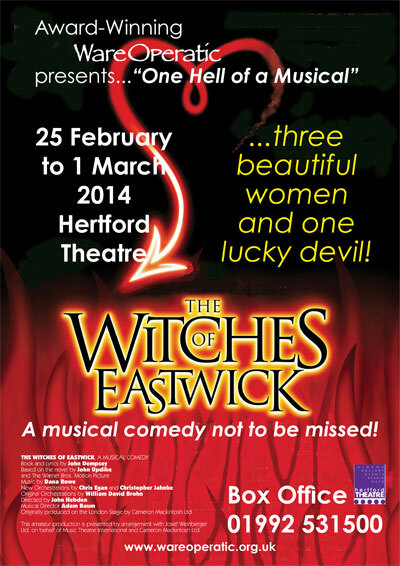 We are delighted to be working with the award-winning Ware Operatic company, in promoting their upcoming production of The Witches of Eastwick (opening February 2014). Based on the novel by John Updike, and having previously been adapted into a successful Hollywood movie (1987), this modern musical follows a group of three women who fall under the spell of the devilishly charming Daryl Van Horne. Opening in 2000, the stage musical had a reasonably successful run in the West End but was certainly a brave choice for a regional theatre company to attempt. 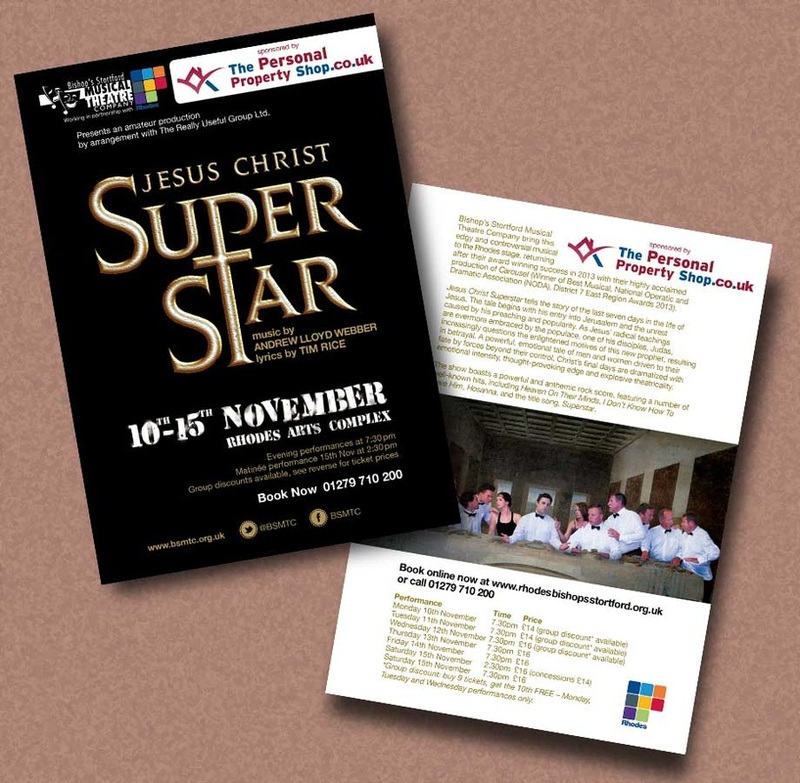 The company approached us in November 2013 to help them promote the show. 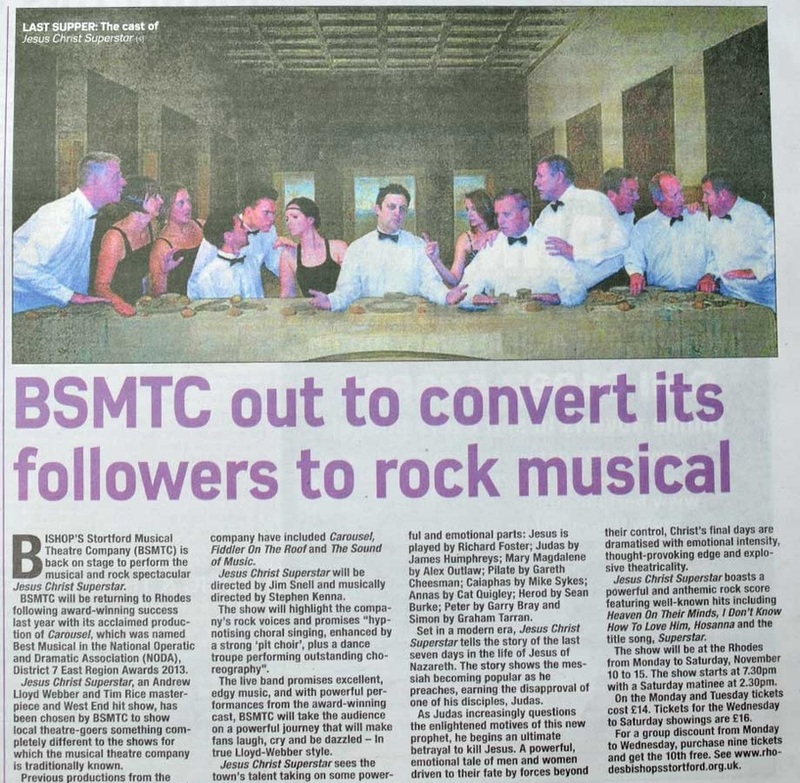 Unlike safer musical staples such as Oliver or Fiddler on The Roof, this relatively unknown production would need a more high-profile marketing campaign to secure ticket sales. The story/ show has an obvious female appeal. We identified a target audience of 40/50-something women living in the local (Hertford) district; women who would remember the (1987) movie. Our aim was to encourage them to see the show with groups of their (female) friends. 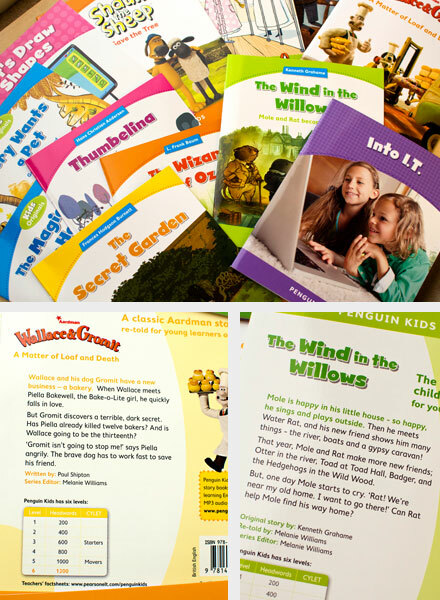 The campaign would be based around one central marketing idea – "Which Witch are you?". This PR campaign would ask prospects to explore the three main protagonists and question which they identified with the most. The campaign is to be co-ordinated across social media, local news media, email marketing and point of sale (theatre foyer). This will be backed up with a "witches night" sales promotion. To encourage larger groups of women to see the show (as a "girls night out") an offer of one free ticket for every group of three women (witches) on certain evening performance(s). We look forward to seeing the marketing campaign take off and wish the company well in the production. Break a leg!